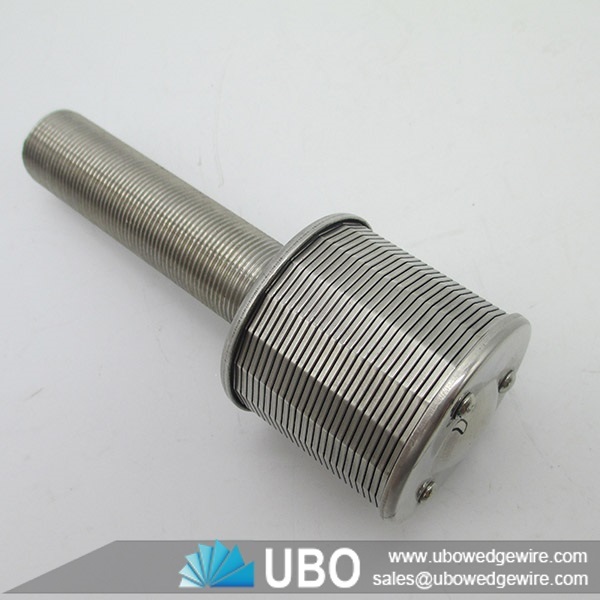 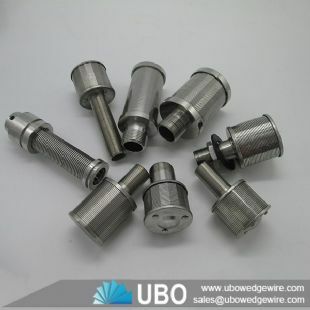 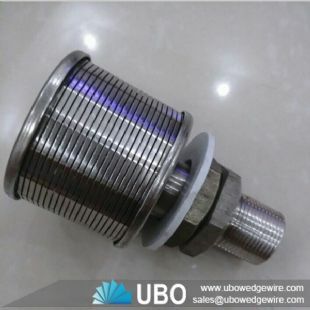 UBO supply Stainless steel wedge wire screen filter nozzle, in order to make the slot v-shaped.It can stop the impurities very well. After work for a period of time, the filter can be back flush.It can use for many times. 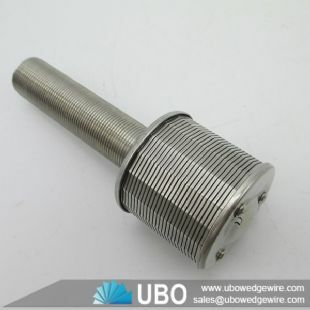 Filtering direction from outside to inside (FOTI). 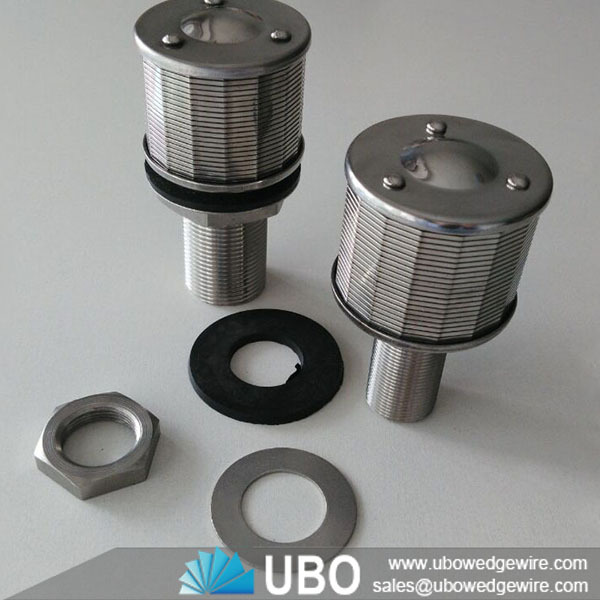 Widely used in water softening treatment equipment, replace Polypropylene ( PP ) filter;sand filters, carbon filters, ion exchange systems, carbon absorbers,media retention, backwash retention, resin retention and resin traps. 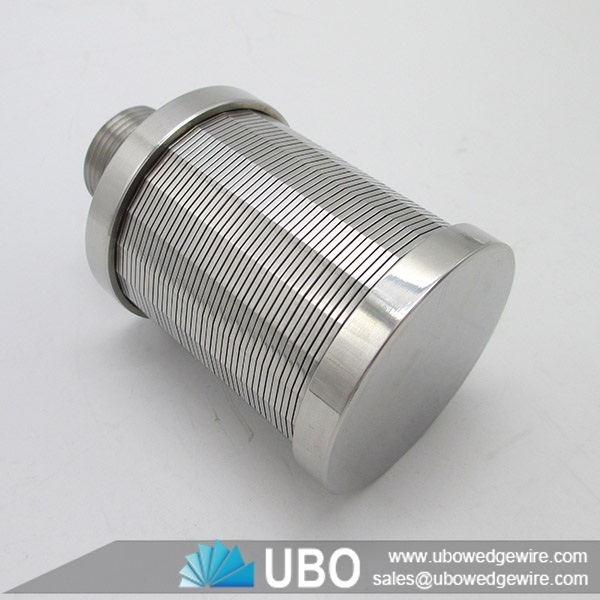 1) Type 316L stainless steel construction. 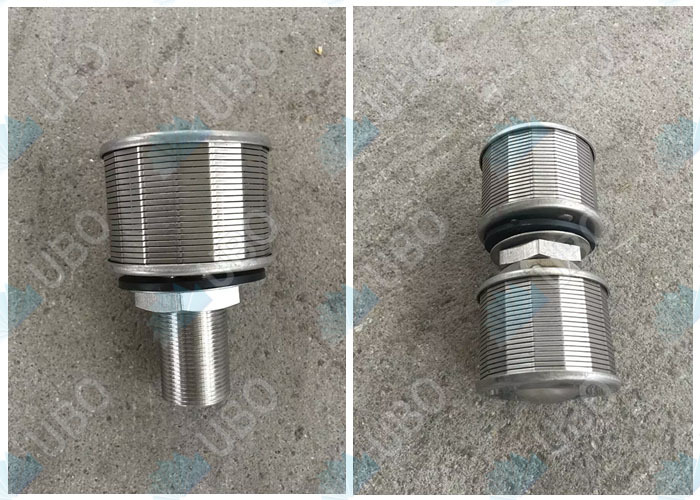 3) Standard nozzle are 2in/51mm diameter and can be attached to the plate either with threaded end fittings or "L" blots. 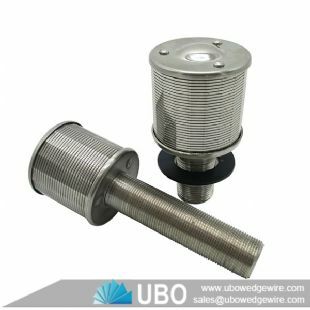 4) Standard slot opening is typically range between 0.006”(0.15mm), and 0.020in./0.50mm wide suitable for 40 to 50 mesh size media, Other slot sizes are also available. 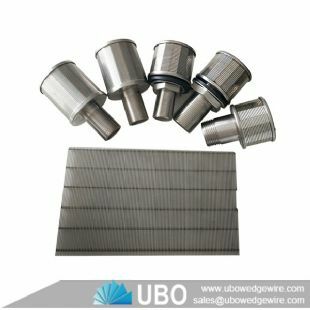 5) Wedge wire screen is highly resistant to plugging. 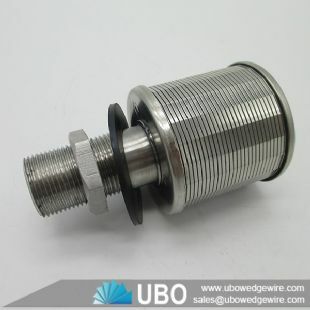 6) Choice of either 3/4” NPT or 1” NPT fittings are available from stock. 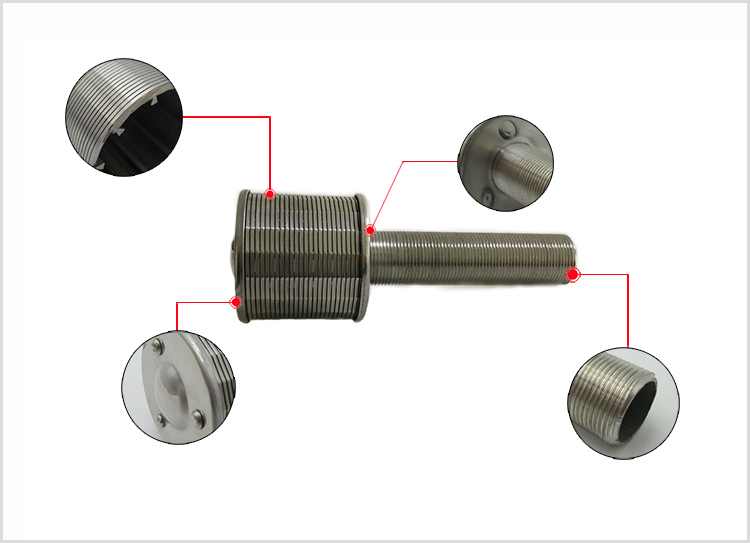 Other styles, such as tee-bolt mountings, and drop tubes are readily available. 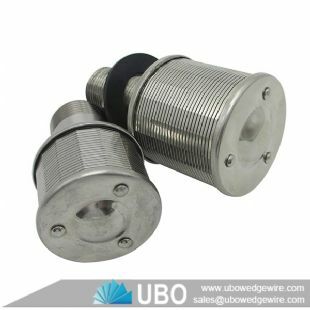 7) Unaffected by temperature, corrosion resistant, aging resistant, long life span, easy change, saftey and enviormental friendly.